Trinidad, along with Tobago, are economic powerhouses of the Caribbean. They have vas oil and gas reserves, which has led to a high standard of living, so tourism is not the mainstay of the economy. 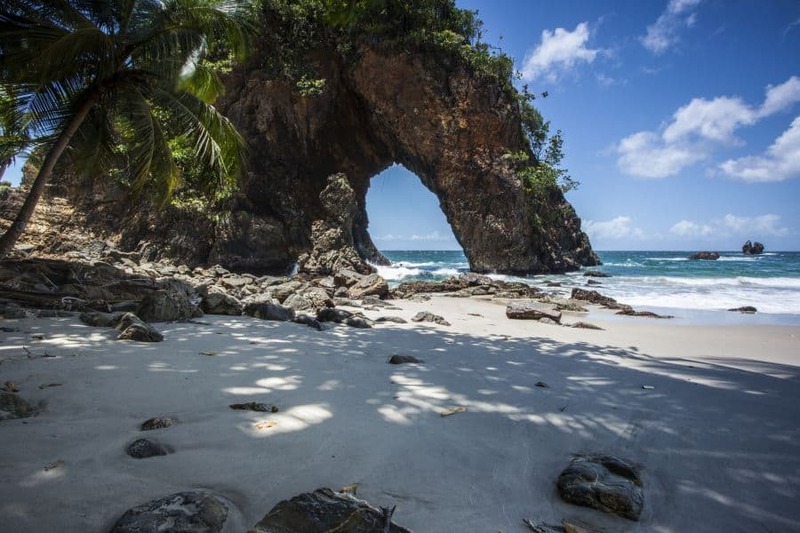 Trinidad offers rain forests similar to South America, but beach lovers accustomed to the electric blue water and dazzling white sand of coral islands may be disappointed by the beaches on Trinidad. The best beaches are on the north coast, with peach sand, clean blue-green water, and the forest-covered Northern Range as a backdrop. Beaches are almost completely free of hotel development. Trinidad does have a party-hard ethic, with an electrifying music scene that rivals even Jamaica. Trinidad (along with Tobago) is the birthplace of calypso, soca, and the steel pan. You’ll hear plenty of all three year round, especially during the annual Carnival. To learn more about all the beautiful beaches on Trinidad, visit here. Now view our Trinidad Travel Guide to help plan your next Caribbean vacation! Trinidad’s southerly location keeps temperatures consistent year-round, with a daily average of 80°F. The average humidity is around 75%. The high season (from February to March) brings lots of tourists for the annual Carnival, while summer (July and August), Easter, and Christmas, are also busy. The rainy season is from June thru November, and the dry season runs from December thru May. You will find the rainy months to be from October to mid December, and April to June. Trinidad is outside of the hurricane belt, so severe thunderstorms are uncommon. Trinidad’s temperatures remain tropical year-round, and most people visit between January and March, when Carnival explodes into life, the trees are in bloom and the climate is at its most forgiving. The sun shines, rain is rare and the nights are cool. Around the end of May, the rainy season begins. The wet season lasts until November, but there’s usually a break from the downpours in September, a period of hot sunshine and blue skies, worth considering when thinking about the best time to visit. 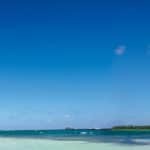 It’s an excellent time to plan your trip, with flights at low-season rates, though you’ll find the resorts a little quiet. Some hotels raise rates during the high season (December 15 – April 15), and also during the turtle laying season (March – September), but most small hotels charge the same rates year round. Every person seeking admission into Trinidad must be in possession of a valid passport, with a valid return ticket. You must also have proof of sufficient funds for your stay in Trinidad. You must also provide the local address where you will be staying while in Trinidad. Almost all international flights arrive at Piarco International Airport, 17 miles east of Port of Spain on Trinidad. Airlines flying into Trinidad include British Airways, Virgin Atlantic, Continental Airlines, Delta, LIAT, American Airlines, and Air Canada. For the best deal on airfare, consider flying during the summer, which is the Caribbean’s low season. It also helps to be flexible about when you are traveling. Leaving and returning during the middle of the week will result in a more inexpensive ticket than flying on the weekend. Book a round-trip ticket versus a one-way flight, which is usually more expensive. If you’re staying in Trinidad, you’ll be able to rely on the taxis and your own two feet. If you’re planning on visiting Tobago, a rental car is a must (as the island’s transportation is as developed as its cousin’s). When renting, ask for a vehicle with four-wheel-drive — the roads can get rough. And inquire about auto insurance, as both islands’ driving style is more aggressive than you may have experienced before. Taxis look like regular passenger cars with one main distinction: license plates start with the letter “H.” You can catch a ride at your hotel, but your fare will probably be more expensive. Instead, go wait at one of the taxi stands marked on street corners or hail a cab directly off the street. Taxis aren’t metered so be sure to agree on a price before getting into the vehicle. You should pay about $1 for most one-way trips. The islands’ bus routes serve Trinidad’s major cities. But, the buses follow set routes, and there is no set timetable. Travelers can also take the route taxis which follow a specific route. Tickets are available at most bus terminals. Drivers don’t accept cash or credit cards, so make sure you purchase tickets. The Port Authority of Trinidad and Tobago offers express ferries for inter-island travel. The trip takes a little less than three hours with a one-way fare costing about $8. Cheaper conventional ferry service is also available for about $6 but this trip takes nearly six hours. Trinidad’s ferry dock is located in Port of Spain; Tobago’s is in Scarborough. Passengers must check in three hours before sailing if bringing a vehicle, otherwise two hours ahead of time is plenty. This historic Trinidadian structure provides visitors with a taste of the island’s colonial heritage. One of Fort George’s best known features is its intricate wooden signal station, which provides a stark contrast to the fort’s original cannons and dungeons still on display here. The fort’s grounds and panoramic views are what make the visit here worthwhile. Store Bay’s free beach offers travelers a relaxing place to soak up some sun and cool off in Tobago’s famous clear, blue waters. Beachgoers can watch planes come in and land at nearby Arthur Napolean Raymond Robinson International Airport. Store Bay’s other big draw is its array of street food vendors, which serve up affordable, local delicacies like crab and dumpling, bake and shark, and pelau (a mixture of rice, vegetables and meat or crab that’s been browned in sugar). The Asa Wright Nature Centre is home to more than 400 species of native birds, plus 55 different reptile species, 25 amphibians, more than 600 butterflies and more than 2,000 types of flowering plants. In short, northern Trinidad’s Asa Wright Nature Centre is bursting at the seams; it’s the ultimate stop for both novice and experienced bird-watchers and nature lovers. 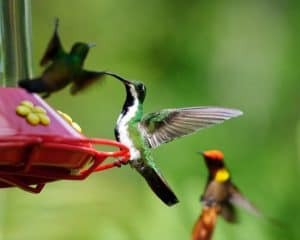 Nestled within Trinidad’s Maracas Valley, this lush sanctuary is home to a variety of native flora and 13 of Trinidad and Tobago’s 17 species of hummingbirds. Started accidentally by Dr. Theodore Ferguson and his wife, Gloria, to make it easier to photograph birds (one of the doctor’s hobbies), Yerette, which borrows its name from the Amerindian word for “hummingbird,” is one of Trinidad’s most popular bird-watching spots. LCaroni Bird Sanctuary offers many of the same thrills of the Asa Wright Nature Center. But the real reason to visit Caroni is to observe the scarlet ibis, the national bird of Trinidad and Tobago that resembles a brilliant blood orange flamingo. The best time to see the ibis is in the late afternoon; arrive a little early and you can enjoy a glass-bottom boat tour of the swampland while you’re waiting for the ibis to appear. Trinidad and Tobago ranks among the world’s top ten countries in terms of bird species per square kilometer, boasting a diversity unmatched in the Caribbean: more than 430 recorded species and around 250 known to breed. 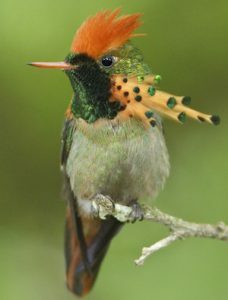 Migrant species from South America are most common between May and September, while birds from North America visit between October and March. The dry months (Jan–March or April) are traditionally the most popular time for birders to visit; during the wet season, however, birds grab whatever chance they can to feed between showers, so you’ll still see a lot of activity. Based on the Caribbean island of Trinidad, they offer internationally accredited scuba diving training from PADI. They also offer snorkeling as well as dive tours. For more information call 868-757-5258, or visit them on the web at Scuba Trinadad. 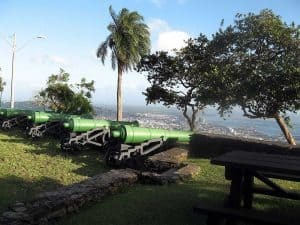 Nature Trekking in T&T is the only hiking company that forms the perfect union of carefully blending both Trinidad and Tobago’s rich historical background with all hikes, tours and camp-outs. We offer these services everyday of the year, including public holidays. For more information call 868-389-7441, or visit them on the web at Nature Trekking. Planning a private hike? The Island Hikers Team can assist. They will take you to your favorite hiking destinations. For more information call 868-749-2945, or visit them on the web at Island Hikers. Entertaining, informative hikes plus safaris aboard a Land Rover, all with a birdwatching and animal-spotting slant. One of the best for Nariva, as well as Brasso Seco/Asa Wright and Northern Range waterfalls/hikes, nights in host homes and Paramin. Central Trinidad options include Caroni Swamp, birdwatching and rare-plant spotting at Aripo Savannah, while as well as the usual Pitch Lake trip in south Trinidad there’s an Icacos tour with visits to small-scale soap and coconut-oil makers, and wetland birdwatching. For more information call 868-624-7281, or visit them on the web at Caribbean Discovery Tours. Though the menu is skewed toward Chinese cuisine, this extremely popular eatery on Cipriani Boulevard offers everything from ravioli to lobster thermidor. Young professionals flock here on evenings to enjoy the lively atmosphere, attentive but laid-back service, and consistently good (and reasonably priced) food. Parking is always an issue in the area, but don’t be fooled by the men on the roadside offering to find you a parking spot and “look after your car” for a price. It’s also a great place to enjoy a cocktail or two. For more information call 868-627-8696, or visit them on the web at Town Restaurant & Bar. Although Trinidad has many American sports-bar chain restaurants, this local version easily beats them at their own game. There is often a lively crowd watching the more than 20 giant screens featuring all the latest in soccer and international sports. The huge square bar in the middle of the restaurant is where folks gather. Dining areas branch off from the bar area, and though some are more isolated than others, it is virtually impossible to escape the cheers of the throng of sports enthusiasts. The food includes excellent burgers, hearty salads, and Italian favorites and steaks. The standard is consistently excellent, and the servers, bedecked in pins and wearing safari hats, are efficient and attentive. For more information call 868-627-8768, or visit them on the web at Trotters. This popular after-work drinking and dining spot serves consistently excellent sushi. This was the first sushi establishment on the popular dining strip known to locals as “the avenue.” Choose to dine on the wooden outdoor deck and take in the sights (and traffic sounds) of Ariapita Avenue, or sit indoors for a cooler, quieter, and more intimate experience with a view of the sushi masters at work. The “Maracas” sushi roll with tuna, cucumber, tobiko, onion, and dynamite sauce is a crowd pleaser. For more information call 868-627-8466, or visit them on the web at More Vino. The best lunches in town are served in this traditional West Indian house filled to the brim with Caribbean art. The creative creole menu changes regularly, but there’s always an unusual and delicious vegetarian entrée. Veni’s version of Trinidad’s national dish, callaloo, is considered one of the best on the island. The chip chip (a small local clam) cocktail is deliciously piquant and is a restaurant rarity. The restaurant’s signature dish, stewed oxtail with dumplings, is not served every day but is worth ordering if it’s available. The bar area is a popular hangout for local artists and sports celebrities. If you can visit only one restaurant and want to get a truly Trinidadian experience, this is the place. For more information call 868-627-4597, or visit them on the web at Veni Mangé. Deep earth tones and subtle lighting make the interior of the restaurant seem miles away from its location in an upscale suburban mall. The Mediterranean-inspired menu features beautifully presented dishes ranging from reasonable risottos to extravagant favorites like roasted rack of lamb. While Caribbean spiny lobster is the norm in most restaurants in T&T, fans of Maine lobster will find their beloved crustacean on offer here. The three-course lunch, offered from Tuesday through Friday, is a prix-fixe menu. For more information call 858-222-4564, or visit them on the web at Aioli. First opened as an inexpensive lunch spot, Frankie’s has morphed into one of Ariapita Ave’s best-loved liming locations. You can still get local lunches, but it’s best after dark, when the friendly crowd spills out onto the pavement and the drinks flow. 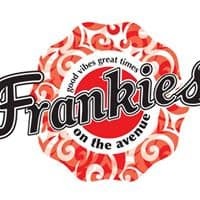 For more information call 868-622-6609 , or visit them on the web at Frankie’s. Often the busiest nightspot on buzzing Rust St, this is a bohemian bazaar of Middle Eastern baroque, where an upscale crowd grooves to soca, dancehall and club anthems amid the dry ice inside, or take in the breeze on the outside deck. For more information call 868-622-5930, or visit them on the web at Paprika. This great little bar, with an icy indoor section and a convivial garden, is an excellent liming spot, with good cocktails, a friendly mixed-age crowd and bar snacks. Look out for the regular live-music performances, usually on Wednesday, as well as drinks promotions; DJs play at weekends. 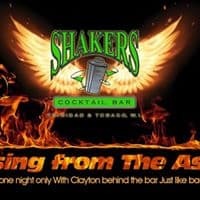 For more information call 868-624-6612, or visit them on the web at Shakers. Laid-back bar/club, with dancing at the weekends in the air-con interior as well as the terrace out front. The playlist of soca and dancehall draws a relaxed but party-hard Trini crowd, and the drinks are inexpensive, with regular promotions on offer. 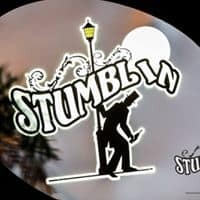 For more information call 868-223-5017, or visit them on Facebook at Stumblin’ on the Avenue. This stalwart of the Port of Spain nightlife scene continues its reign as one of the best places to party the night away, with things heating up from 11pm onwards. Dress to impress, and don’t turn up wearing sneakers, flip-flops or a hat. For more information call 868-627-0051, or visit them on the web at Fifty One Degrees. Located in Port-of-Spain in the region of Trinidad, 8 miles from Saint Augustine, Hilton Trinidad & Conference Centre features an outdoor pool and sun terrace. The hotel has a sauna and fitness center, and guests can enjoy a drink at the bar. There is a 24-hour front desk, gift shop, and shops at the property. You can play tennis at the hotel. For more information, pricing, or to reserve your room, visit Hilton Trinidad & Conference Centre. Located in Piarco, 12 miles from Port-of-Spain, Piarco Village Suites features free WiFi access and free private parking. There is free shuttle service at the property. The bed and breakfast also provides car rental. Saint Augustine is 4.3 miles from Piarco Village Suites, and Las Cuevas is 12 miles from the property. For more information, pricing, or to reserve your room, visit Piarco Village Suites. Featuring free WiFi and a restaurant, Radisson Hotel Trinidad offers accommodations in Port-of-Spain. The hotel has an outdoor pool and terrace, and guests can enjoy a meal at the restaurant or a drink at the bar. Free private parking is available on site. For more information, pricing, or to reserve your room, visit Radisson Hotel Trinidad. This hotel is 2.2 miles from Emperor Valley Zoo and Port of Spain Botanical Gardens. It features an outdoor pool, restaurant and spacious rooms with a 32-inch flat-screen TV. The Centro Restaurant, located on-site at the Courtyard Port of Spain, features international cuisine for breakfast, lunch and dinner. It also provides a full bar, offering beer and cocktails. For more information, pricing, or to reserve your room, visit Courtyard by Marriott Port of Spain. Located a 5-minute walk from Queen’s Park Savannah and from Ellerslie Plaza, Kapok Hotel features a swimming pool, garden and a terrace. Free Wi-Fi is available throughout the hotel. Guests at Kapok Hotel can enjoy breakfast, lunch and dinner in the on-site restaurants. There is also a shop in the lobby. For more information, pricing, or to reserve your room, visit Kapok Hotel. Absolutely love your page and website! 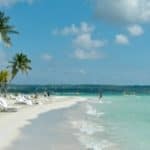 Love travelling and beaches, and am now looking forward to checking out Trinidad as a destination for next year’s travels! 🙂 You have a really comprehensive and easy-to-follow page, from transportation (which is so important!!) to weather to things to do to accommodation; the pictures and video make me feel excited about booking my next holiday already. 😉 I’ve just bookmarked your website; will definitely be back again to check out the other recommended destinations! I am so glad you enjoyed visiting BeachTravelDestinations.com and reading our Trinidad Travel Guide Grace! You would find vacationing to Trinidad (and Tobago of course) to be absolutely amazing! Please come back when you are ready to plan! Wow, it looks so beautiful there! I was considering Bora Bora, but Trinidad and Tobago look like a much more economical trip. I mean, as long as it is sunny and warm right? Are there packages that allow for trips around the island, to see all the fun sights or even to move hotels? After reading your article, I would like to see everything as well as participate in the water activities. Oh yes, it is way more economical than Bora Bora for sure, and just as beautiful. Yes, you can get tours in abundance. I would stick with Island Experiences, TrinTours, or Tours by Locals.. I don’t know of any packages that include changing hotels. The best for that is to reserve a room at more than one hotel if you want to stay in different locations 🙂 I would be more than glad to help, just shoot me a message. Thanks for visiting the Trinidad Travel Guide! Such a great guide to Trinidad! You cover everything a traveler would need to know. I am planning a trip to Tobago and Trinidad for this coming winter. So this travel guide is awesome. I am going to bookmark your site, so I can reference all the information! Thank you! Hi Sandra, and thank you for reading the Trinidad Travel Guide. I am glad you will be able to use the guide to plan your trip to Tobago and Trinidad. You are going to have an amazing time. Please let me know if I can help in any way. Thank you so much for visiting! Trinidad sounds like a great place to visit as long as I time it right. At least I wouldn’t have to worry about hurricanes on this trip like I would on many other islands. The beaches might not be as ideal as some, but they look very inviting nonetheless. I like to go on hikes and I see they have a hiking service. Very cool. How much does that cost though? Hiking in Trinidad is ideal. If you go thru Nature Trek TnT (they have a huge selection of hikes), then most hikes are around $90. Some are higher. I think that if you enjoy hiking, then this would be the way to go for sure. Thank you for reading the Trinidad Travel Guide, and please let me know if you have any additional questions. Hi, Leahrae. My sister’s partner is from Trinidad, (as well as this gal’s nephew). I am positive that she could attest to everything that you provided as a source of information to people reading this article. My sister has of course been to Trinidad, (the last trip several years ago). 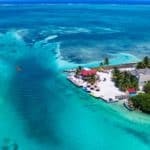 Although I have never been to any part of the Caribbean at all, from what I hear and read in your excellent article, the country is absolutely beautiful. The prices are very reasonable, as well as the fact that the country’s accommodations and sight-seeing trips/tours/attractions appear to be fabulous. From what I understand, Trinidad was not hit nearly as hard a few months ago by the series of hurricanes as was the case with other island countries – Puerto Rico being one such example. 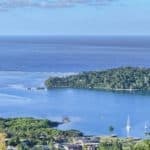 The video that you embedded in your article shows the beauty, cultural/historical sights that can be found and the overall friendliness exhibited by natives towards tourists who visit the island country. As was stated in the video, and in a way backed up through all of the info that you provided in your review Leahrae, indeed Trinidad, (and Tobago) are on the rise! HI Jeff, thank you for your wonderful comments regarding the Trinidad Travel Guide! I agree that Trinidad and Tobago are on the rise, and you are correct that they did not get the damage from the hurricanes this past hurricane season that some of the other unfortunate Caribbean islands received. I think you will find that these two islands are a bargain, beautiful, and well worth a visit for sure. Thanks for visiting! That’s the thing most people don’t understand about travel. You have to time your travels not only for cheaper tickets, but also so you don’t get caught in a time when the weather is not so great. I see the dry season runs from December thru May. What kind of temperatures can I expect during this time? This is going to be the ideal time for me to travel to Trinidad and Tobago. I am also curious how much rates change during this time? I see that they do raise their rates in December. Thanks! Hi Dan, the temperatures in December are going to be around 80 degrees, which is a wonderful temperature. I am not really sure how much they raise the rates, but if you go towards the beginning of December, thru the middle of the month, you will find that they have not been raised yet. I am glad you enjoyed reading the Trinidad Travel Guide. Thanks for visiting! Hi there, Tobago I think of a fine cigar. The music and beach life seems to be inviting too though. They have a well-going economy, that sounds great. 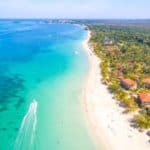 How much do I have to calculate for a stay of two weeks for two adults? Not posh but comfortable. If you were to go during off season (January to May), you could be spending as little as $500 for a two week stay at a 4 star rated hotel, with great reviews. You could also go in between, or posh to $7000 for the two weeks. So, there is lots of room for a GREAT rate at just $500 for 2 weeks! Please let me know when you are ready to plan, as I know I can get you the best deals. Thanks for visiting the Trinidad Travel Guide! Wonderful guide and they do have quite a party culture. I’ve never been to Trinidad but years ago I had some friends from their and they taught me all about soca. I was surprised that they had so many places related to birds. With that and all of the hiking, it seems like a great place to truly enjoy nature. 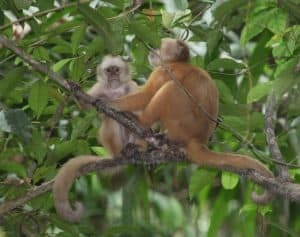 Yes, Trinidad doesn’t have the beaches that Tobago has, but they have great wildlife and hiking. So if you want something more than just the beach and sunshine, Trinidad is definitely the place. Thanks for visiting! As always, this is a great in-depth look at what Trinidad is all about. I do have one question though. I’m not sure about Trinidad’s situation, but I know safety can sometime be an issue on some Caribbean Islands. Is that a concern in Trinidad or is it on the safer side? It is on the safer side, but there are a possibility of threats to visitors right now. I would wait until these threats are no longer a possibility, that is for sure. I am sure that Trinidad is doing all they can to neutralize this situation. Thanks for vising the Trinidad Travel Guide. Thank you for a great review of Trinidad & Tobago and I was all set to consider taking my other half there for a surprise holiday however now reading the comments on the possible terror attacks I am reconsidering. Have there actually been any Islamic State-orchestrated attacks on the isalnds Or is this just a warning of possible attacks? One day I am going to jump on one of these nice places that you always bring to us. You do an excellent job of giving us detailed information on each destination. Planning a trip will be a breeze because of you. Thanks..
You are very welcome Ronnie! 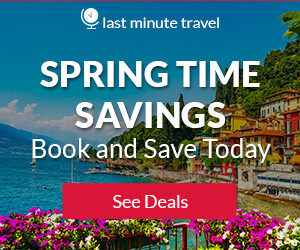 Let me know when you are ready plan a trip, you will have an amazing time! Your posts are so thorough! You cover everything. Thanks for another great review of a place I long to visit. Trinidad is a name I always associate with cricket and the great West Indian cricketers who come from there. It sounds amazing and I love that many of the beach areas are not over run with high rise apartment blocks. Sounds like the perfect place for a holiday 🙂 I am looking forward to planning a Caribbean Cruise, maybe I should just take the time and spend all the time here on the wonderful island of Trinidad! You have surely provided me with a great visual, and I feel like I am already there when reading you article! Thanks Kev! I am glad you have enjoyed reading and, yes going to stay on an island as opposed to a cruise is more appealing to me as well. 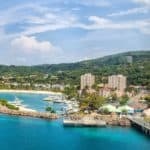 Instead of just getting a small sampling of each port you stop in, you will get to immerse yourself in the Caribbean life and truly will have a great time! Glad you enjoyed reading the Trinidad Travel Guide! Trinidad & Tobago has always been a dream destination for me to visit with a significant other, because I love Calypso Music and walking on empty beaches at Sunset. Two things that will concern me. The devastation after the Hurricane(s) and the terrorism threat currently. Most of the tourists there are Europeans and they have been warned off the island for now. As an American, I’m not sure how safe we would be in this political environment, so I will stay away for now. As always, though, a great review of what the island has to offer. Thank you ! Oh boy I did not know about the terrorism going on there. I had to do some research, and yes, Trinidad and Tobago is at risk of Islamic State-orchestrated attacks, as well as lone wolves inspired by al Qaeda. Now, Trinidad was not impacted by the latest onslaught of hurricanes. They were actually not affected at all. I think because they are outside of the hurricane belt, and don’t even usually get severe thunder storms. But the threat of terrorism, is a good reason to wait until this has been resolved for sure. Thanks for alerting me Rico! Thanks for visiting the Trinidad Travel Guide!